What Does the iPhone X Mean for Banks? 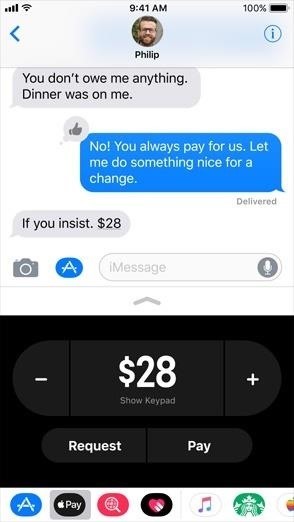 The iPhone X’s new peer-to-peer payments capability is built directly into iMessage, Apple’s texting app. When Steve Jobs unveiled the first iPhone 10 years ago, it changed the banking landscape forever. As customers began to adopt smartphones, they began using them to interact with all aspects of their life. Since then smartphones have powered innovations that have reshaped the way customers interact with their banks. Today, Apple announced the latest update to the device, the iPhone X. While this new device sports the expected updated design and sharp screen, it also contains upgrades that could affect banks. Peer-to-peer payments. Apple’s new operating system (iOS 11) will expand Apple Pay to compete with Zelle (which also launched its standalone app today) and Venmo, enabling P2P payments. Functionality will be built into iMessage (Apple’s texting app) allowing users to transfer funds within their text messages or by instructing Siri (Apple’s virtual assistant) to “send money to” a friend. When customers transfer money, funds will be drawn from the card entered into Apple Pay. The recipient will receive a cash balance on a digital Apple Pay Cash card that can be can be transferred to one’s bank account via a debit card or used to pay friends. Biometric credentials. When the iPhone introduced its TouchID thumbprint scanner in 2013, many banks updated their mobile apps to allow customers to use their thumbprint to log in to their account. The iPhone X will take biometrics to the next step for Apple customers with facial recognition technology called FaceID. FaceID captures a 3D scan of a user’s face from all angles using the front-facing camera, a dot projector and an infrared camera. It then uses this scan to authenticate users while they hold the device. While not entirely new—some Android devices already offer facial recognition—FaceID promises to provide more secure authentication than TouchID. In fact, Apple states that it is so accurate there is just a one-in-a-million chance of another person’s face being close enough to pass its test, compared to one in 50,000 for its thumbprint scanner. This is important because while many banks allowed users to view accounts with TouchID authentication, few put enough trust in it to allow users to transfer money out of accounts. Perhaps FaceID will prove secure enough to give banks the confidence to enable this functionality. As biometric authentication improves, banks can offer better security that is seamlessly integrated into the user experience. Augmented reality. Unlike virtual reality, which seeks to transport users to another place, augmented reality looks to overlay information onto the world around us. AR takes a device camera’s view of the real world and inserts useful information. 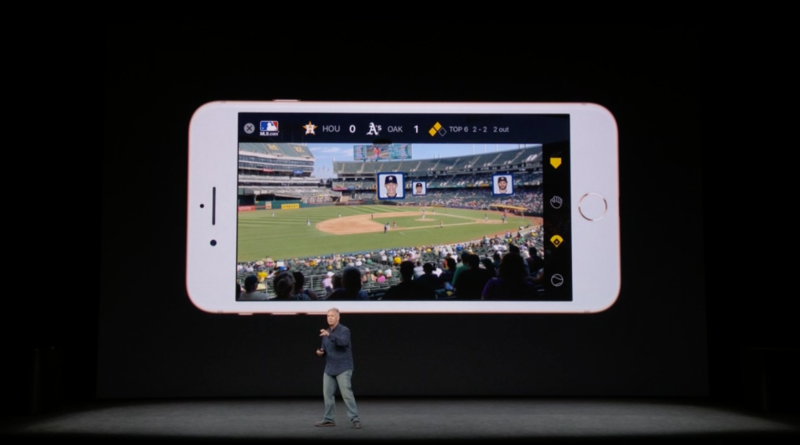 It can be used to visualize how furniture will look in a room, show which baseball players are on the field or project a virtual banking interface onto the nearest wall. Traditionally this technology required complex coding and expensive equipment, like Microsoft’s Hololens or the ill-fated Google Glass. However, Apple is bringing this technology to the masses making it available on its devices and accessible to developers. It has opened up this technology by offering its ARKit, making the base-level technology available for developers who can now build interfaces on top of Apple’s technology. Today, banks are already experimenting with augmented reality. These interfaces could allow prospective homebuyers to overlay property and mortgage details as they pass a house for sale or visualize their full financial portfolio laid out on the nearest wall. 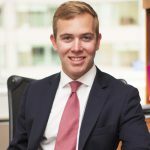 Rob Morgan is vice president for emerging technologies at the American Bankers Association.